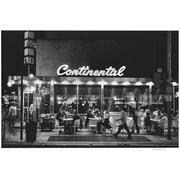 Continental Restaurant and Martini Bar is looking for friendly, energetic hosts to join our team. The host team provides our first and last impression for every guest. We are searching for warmth, hospitality, and those eager to make memborable experiences for our guests. Open Table experience is preferred, but not required.